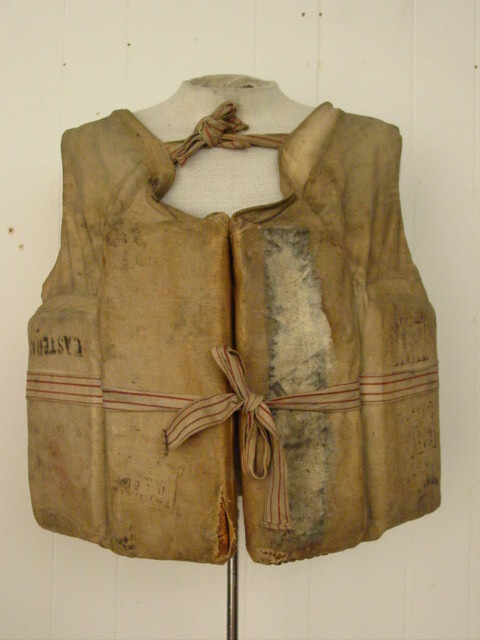 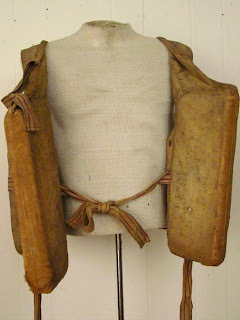 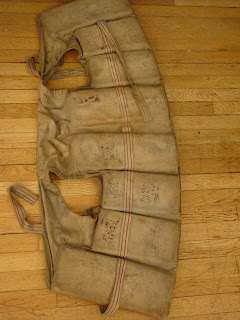 Vintage 1910s 1920s life vest. 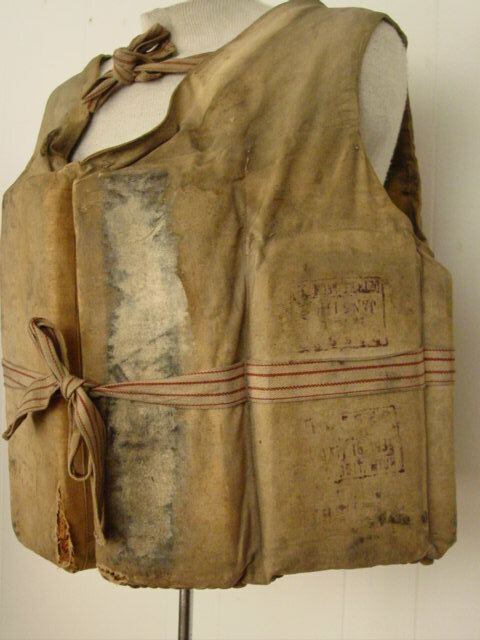 Made of canvas with wood blocks. 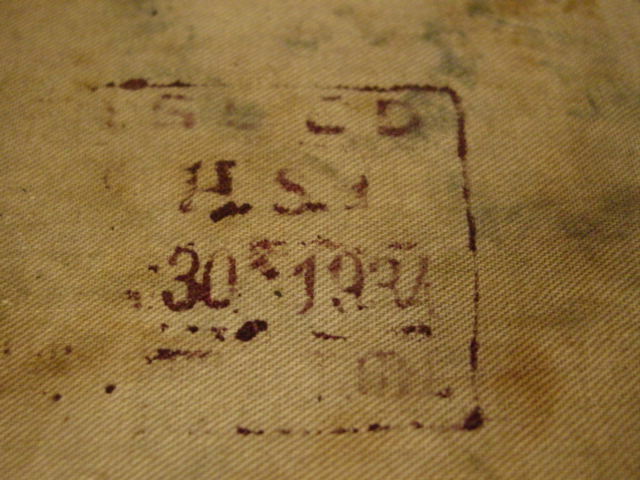 From the Detroit Michigan area. 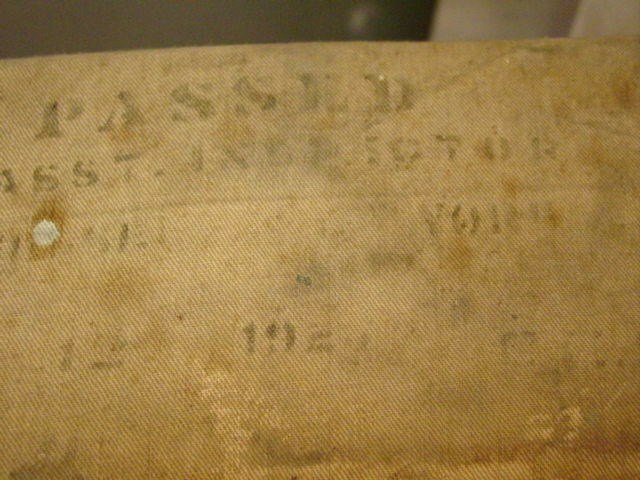 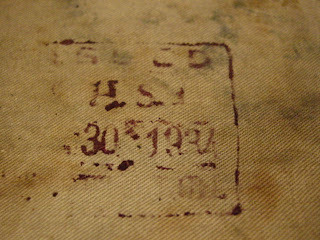 It has many dated inspection stamps from 1920s to the 1940s. 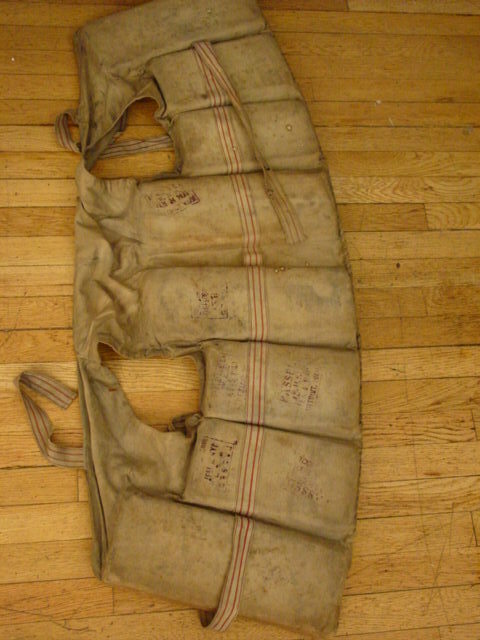 It has inner and outer ties. Vest measures 22" overall length. 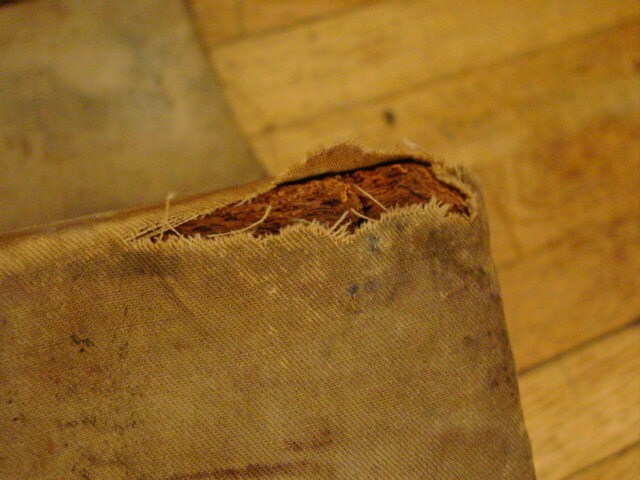 In good condition with all over dirt. 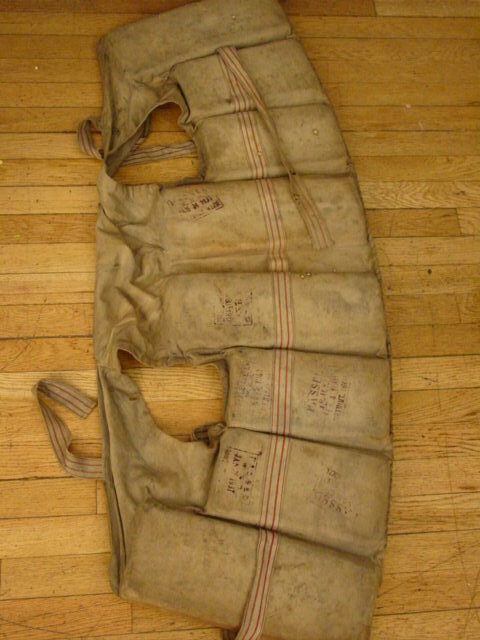 The lower right corner has a 3" rip(photo). 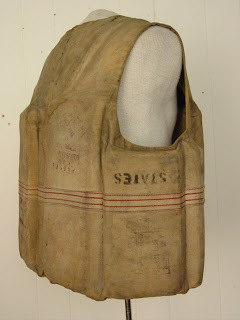 This is one of the overlooked areas of historical costuming but it is no less important. 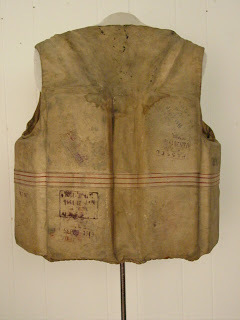 Of course, the Titanic disaster had a HUGE impact on boating safety, including lifevest design. I love how it's filled with cork!